More and more companies are realizing that employee recognition is not only a nice thing to do, but a necessary business practice. By recognizing employees effectively, positive actions and behaviors are reinforced. Effective recognition comes in all shapes and sizes. Sometimes a simple, yet sincere "Thank you" with a smile and a handshake is enough. Other times, a small gift is appropriate but always with a sincere "Thank you" and smile. 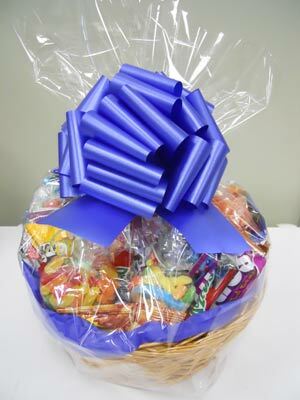 We recently did these gifts for one of our clients. 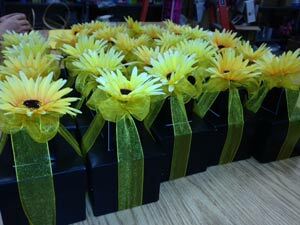 They had a sunflower theme so we did sunflowers on black stack boxes. The top box has a giant truffle and the bottom box contains several cello bags, each with a different gourmet candy. Team celebrations can be the best!. Team recogntion is a great way to celebrate a team win and reinforce the positive behaviors that contributed to the goals being met or exceeded. 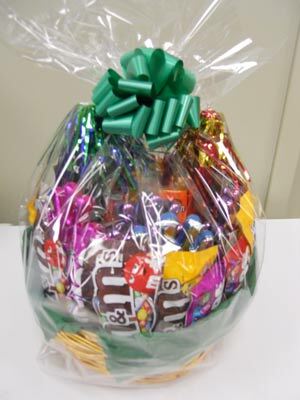 We sometimes do team baskets by the 100s for clients as they are shipped all over the country. Our favorite is delivering these locally and seeing the excitement they create! 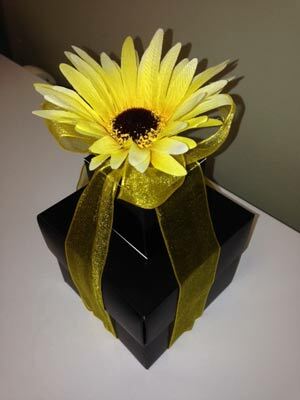 Remembering an employee's birthday is a great way to remind him or her that he or she is appreciated. We have automated birthday programs to support busy managers so they never overlook a birthday. 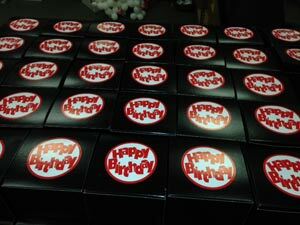 Somedays it is all hands on deck to fulfill our birthday orders. So the next time you have an employee or co-worker who you want to recognize, give us a call. We would love to help you celebrate!